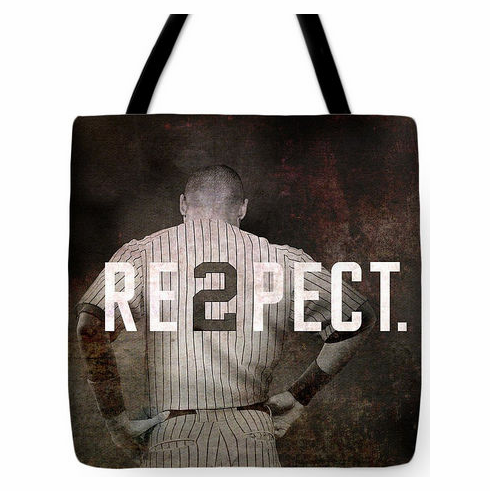 These Derek Jeter Respect Baseball Tote Bags are made from soft, durable, poly-poplin fabric and include a 1" black strap for easy carrying on your shoulder. All seams are double-stitched for added durability. Each tote bag is machine-washable in cold water and is printed on both sides using the same image. Derek Jeter RE2PECT. design by Joann Vitali.